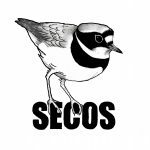 SECOS provides an excellent programme of both field trips and indoor meetings. Field trips enable beginners and experts alike to enjoy bird-watching in small, friendly groups. They take place regularly throughout the year, visiting key birding areas both in Cheshire and in other counties. Indoor meetings take place between September and April and are held in Ettiley Heath, Sandbach. Illustrated talks are given by ornithologists, conservationists and wildlife photographers. As well as being highly informative, the meetings are social occasions that provide a good opportunity to get to know other members. For details of our current indoor and outdoor programmes, visit the events calendar. All members receive our annual newsletter published in August and a supplementary edition at each indoor meeting. The current editions are available on this website.